The warm-up band is back. I feel like the opening band that nobody came to see by sitting down to write. Don’t worry, I am not sulking, but with as great as Nora’s entry was last week, there is no way I can compete with that. Especially based on the fact that the past week was pretty uneventful and the fact that today is Nora and my 12th anniversary and I am more interested in spending time with her than sitting here and writing! Sorry! Anyway, Nora will be writing again very soon. Hopefully next week! I suppose it is a good thing that I have the opportunity to write this week, as I do have some important announcements. 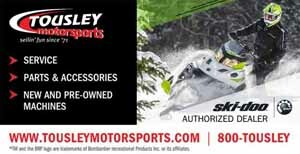 First is that I will be manning the booth for the Keweenaw at the Milwaukee Snowmobile show next weekend, so if you are at the show, please stop by and say hi! I will have memberships for the Keweenaw Snowmobile Club for sale as well as some ThinkSnow stickers. I am looking forward to the show as it is always fun to be in a room with the “snow brotherhood” (sisters too!). Haydays is a lot of fun, but it really seems like it is still summer when that happens and although the weather can be very nice in Milwaukee for the show, it just seems more like winter is just around the corner when I attend that show. So pleases stop by to say hi and talk snow! 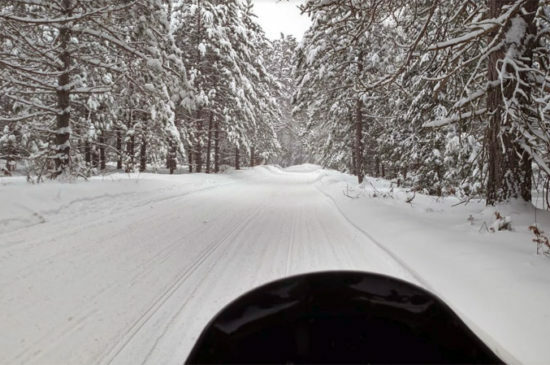 The second big announcement is that in two weeks, the Keweenaw Snowmobile Club will be holding its pre-season trail work session. The work will be done on the 21st and 22nd. 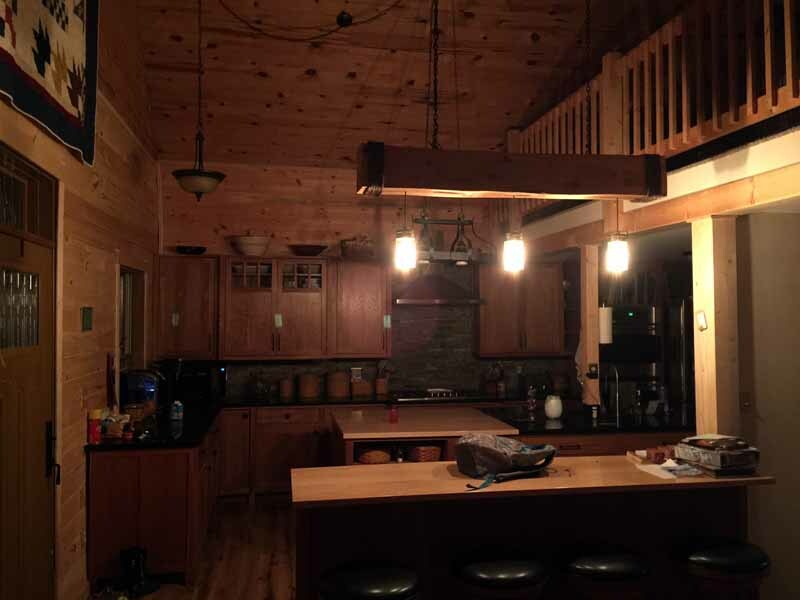 There is free lodging for workers at the Trailside in Calumet as well as D’s Basecamp in Toivola. We will be all meeting up at the Trailside Lodge at 9:30 in the morning both days. There also will be a dinner held for all volunteers on Saturday evening, the 22nd. We have some important work do to, so all help will be much appreciated. No special tools are needed, although if you have some light construction equipment and want to bring it, that would be great, as a bridge re-build is part of the work we will be doing. If you have any questions, you can e mail me. The third announcement is two parted. 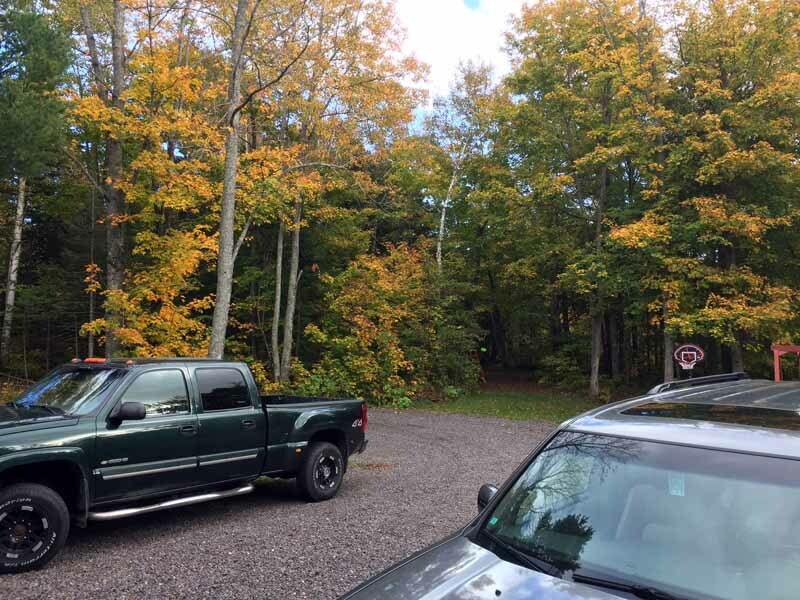 First, I have ended the warm season forecasts and will be taking a break for a few weeks and then starting up the snowfall forecasts in early November. If there is some snow to forecast for by November 1st, then I will start then, otherwise will start on the 7th. Part two is that I have all but completed my seasonal outlook. Just a few more things to polish up and then I will post it to the site. That will be happening tomorrow morning. So be sure to check back into the site tomorrow for that dandy! That about covers it for the announcements. Now onto the goings on in the Keweenaw! The weeks weather was a mix of nasty and nice. We had some beautiful days with sunshine and temps in the 60’s, but we also had some days where it rained all day and did not get out of the 40’s. Yesterday morning we even had our first wintry precip of the season. It did not fall as snow, but was frozen. It fell as sleet. I actually got a text message from a friend living up here for his first winter and said it was sleeting out. So I went out onto our front porch and sure enough, some sleet was bouncing off the vehicles parked in our driveway! Believe it or not, we have not turned our heat on yet! We probably could have or should have! But the house has not gotten too cold. 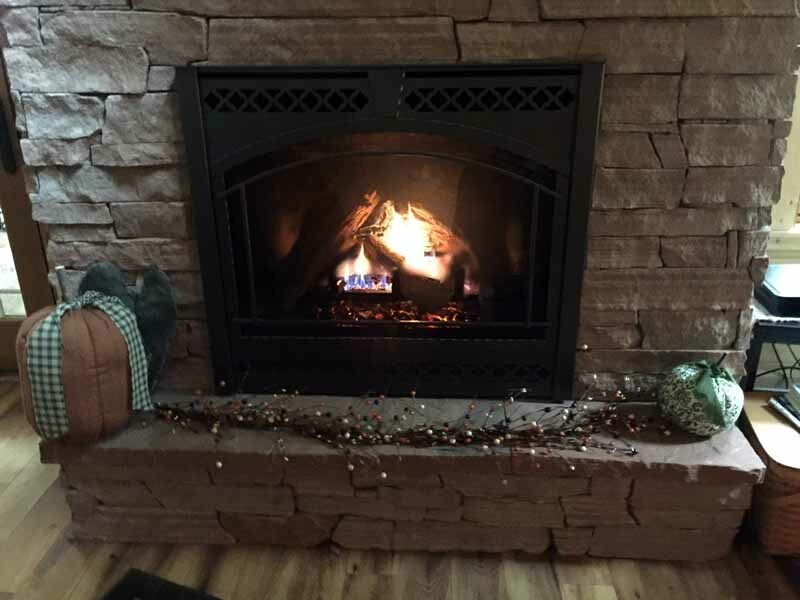 Plus, we have been firing up the fireplace quite regularly, that takes the chill out of the main living areas of the house very nicely and technically, I guess it could count as heat. Anyway, the heat in the floors has not been turned on yet and it looks like we will get through the first half of this week without having to turn it on. It is amazing how true autumn weather has been avoiding us so far. In many years we would have already seen our first snow and by far our first frost, but no snow and no frost, just the short period of sleet yesterday morning. Without a frost yet, the garden is still producing some yummies, although the plants do look to be running out of steam and almost longing for a frost, so they can call it quits for the season! 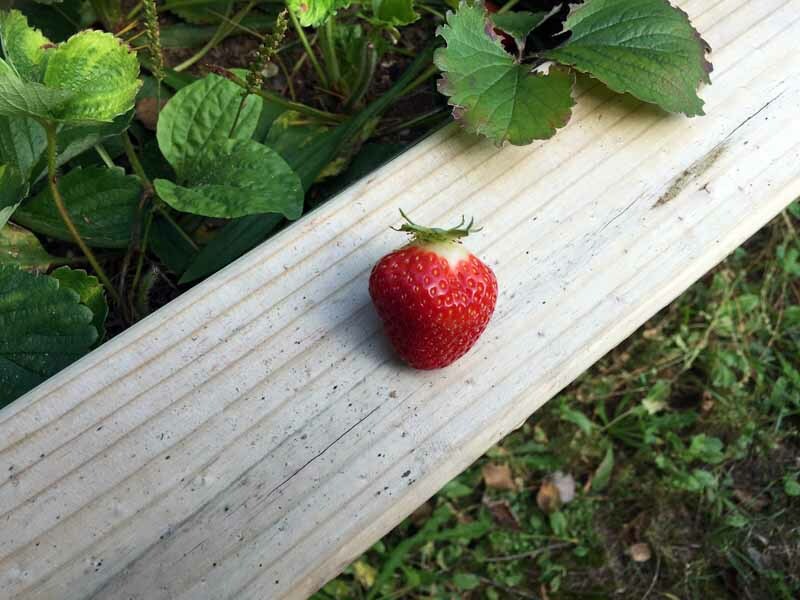 While out cutting the grass this week, I was able to stop and pick a nice ripe strawberry! We picked up some plants this season and one group of them are ever-bearing and are still producing fruit. I never thought I would be picking strawberries up here in October! 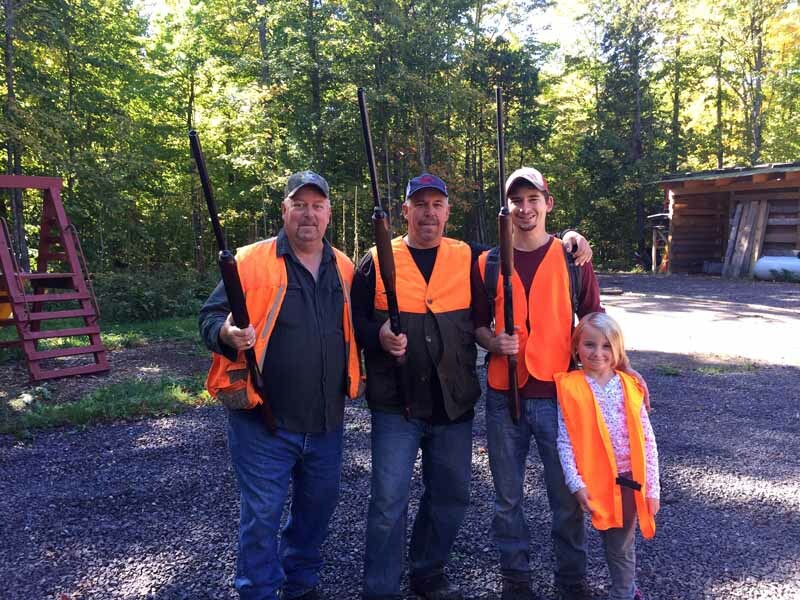 As I think I mentioned a week or so ago, Nora’s brothers came up from downstate and were joined by her nephew who attends Northern MI University in Marquette for some hunting. Nora went out and did some bird hunting with them on Saturday and then they came over Sunday and did some hunting in our woods. Grace even got in on the action. While she did not actually hold or shoot a gun, she did help them clean their catch for the day and ate the partridge for supper that evening! Since I got far enough along with the office remodel that I could take a short break I jumped back into the lighting project for the kitchen. I cannot even remember when I started that project, but know it was well over a month ago. Then the office remodel took over and the beam for the lights sat in the shop for weeks. So it was nice to get back on that job and even nicer to finish it this week. Not only did another item on my to-do list get checked off, but we gained a nice and very much needed lighting fixture in our kitchen area. We can now sit at the “bar” and be able to see our food while eating! It was none too soon, as it is now dark out when I am eating my breakfast and is getting dark when we sit down for dinner. I think I will be jumping back into the office remodel this week. I still need to make the counter top for my work area and hang some pictures in the room. Once that is all done, I will be sure to give you a look at the final project. I actually am going to build a secretary type desk for my office, but that may not happen for a month or two, as I would like to get started on a new dinning table in time to finish for Thanksgiving! The mild autumn has really delayed the color show up here. Typically we would be right at peak right now, but I would have to say our woods are at least 4-5 days away from peak, if not a bit more. Next weekend will for sure be the peak weekend for the colors in our area, although we will probably still have something of a show for the trail work weekend! Here is a shot I just took out our front door of the color in our woods. It is cloudy out, so they do not look as far along as they really are. I would put them at around 60-65% right now. When the sun is out, there are trees that are just magnificent. 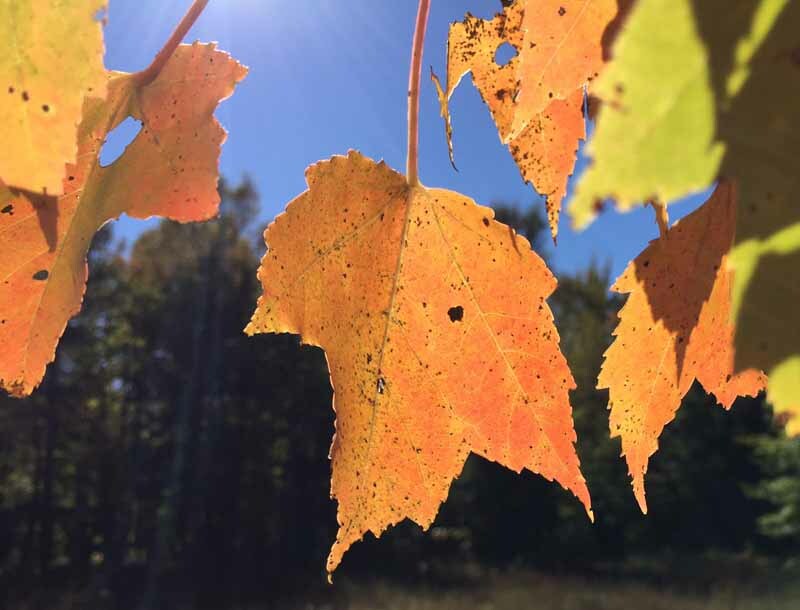 Here is a shot of a few leaves I took earlier this week on a tree that is on our property.